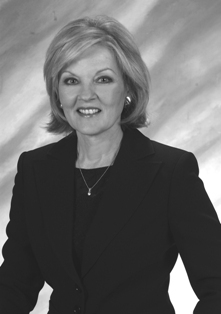 Judy Houston is a "Top Producer" in Real Estate who specializes in delivering 100% client satisfaction. Her exceptional service and work ethic place her in the Top of all Real Estate sales associates nationwide. Judy works hard to fulfill her clients' most ambitious Real Estate dreams. Her 20 years in sales and marketing gives Judy the necessary background to achieve ownership goals. Judy recognizes the unique lifestyles of each client, to help accomplish their goals. She takes care to consult and support her clients through every step of the transaction. Judy provides strong negotiating skills and creative marketing strategies. She has an eye for a property's hidden value, whether selling a home or showing it for a buyer. Judy holds a firm grasp of the market - where's it's been, where it is, and where it's going. For a ProfessionalRealtor® who gives it her all, call Judy Houston at 480-321-9621 or email her at jkhouston@cox.net.